Layer blackberries, kiwi fruit, pineapple, mango and strawberries in a 64 oz pitcher. Drizzle with limeade concentrate, top with soda. PREP TRICK: Dice fruit up to 24 hours in advance and store in the refrigerator. 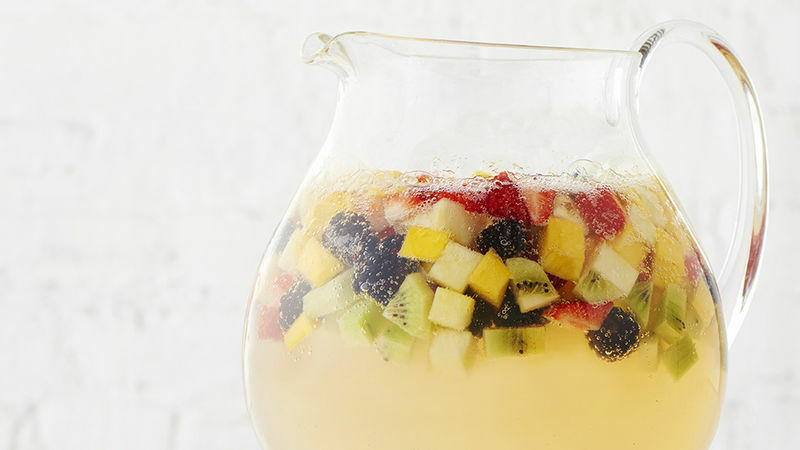 When it’s time to make your drink, you’ll have chilled fruit that will keep your drink cold. To booze it up, add a cup of lime vodka to the mix.